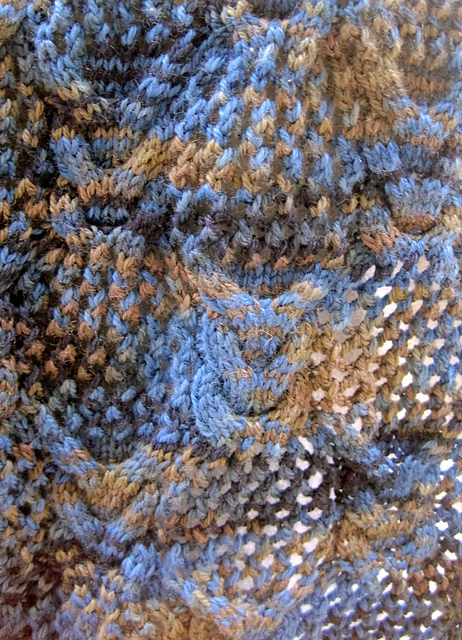 In February I was knitting this beautiful scarf, Monet's Favorite Scarf by designer Linda Lehman. I highly recommend the pattern (link to Ravelry page above) to anyone that is going to want a cable and lace warm scarf for next winter. You knit both ends in the pattern stitch, then the center of the scarf is knit in 2X2 ribbing for wearablity and warmth. 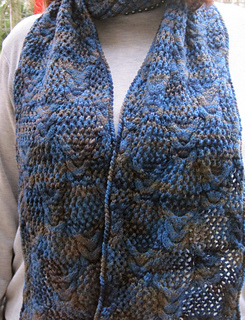 Pattern for Monet's Favorite Scarf is also available here in the Wearable Art Emporium on Etsy. When Is a Knit Skirt Not Knitted?